The company acquired digital-comics service Comixology in 2014, when it was just a seven-year-old company with an iPhone app. Since then, it has launched a subscription service called Comixology Unlimited, that gives access to thousands of digital comics for $5.99 a month, and launched „Comixology Originals“ this year, a selection of creator-owned original comic books exclusive to the service. Image Comics, which publishes „The Walking Dead“ and other creator-owned comics, launched comics subscription service Image Direct in 2015. And Dark Horse Comics, whose most popular property is „Hellboy,“ announced this year a service called Dark Horse Direct, which will focus on selling merchandise. „The goal is getting our products into as many hands a possible,” Melissa Lomax, the director of e-commerce for Dark Horse, told The New York Times in July. This debate came to a head when comics website The Comics Journal published an opinion piece called „A Plague Comes to SPX“ in September, and criticized Amazon and Comixology for attempting to „decimate“ the industry. But comic creators and industry experts came to Comixology’s defense. Richard Starkings, creator of the Comixology Original „Elephentmen,“ which had previously been published by Image, told Business Insider that it’s „inevitable“ for the comics industry to flirt with digital, and that it will only help the print business. Steinberger wouldn’t reveal how many subscribers Comixology has (except that „half of our new buyers are coming in through the Unlimited program, which is what we want“). But mobile-app analysis company Sensor Tower provided Business Insider with a look at how many times the Comixology app had been installed since 2014 on Google Play and the App Store. 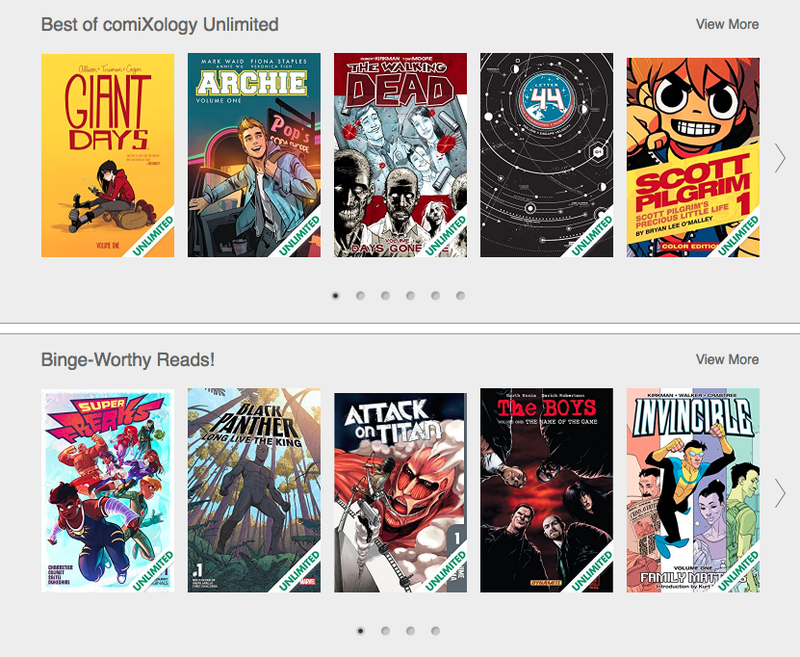 As Comixology beefs up its unlimited plan and original comics, an increase is likely — especially with Amazon in its corner. Amazon has zeroed in on video in recent years, going to head-to-head with Netflix as a streaming service with Amazon Prime Video, and distributing some critically acclaimed films like „Manchester By the Sea“ through Amazon Studios. „I think part of the reason creators like to work with us is that there is a direct line to being able to be looked at for something in Prime Originals,“ Steinberger said. „You ask any creative that question they’ll always give you same answer: Yes,“ he said. Amazon isn’t the only major company that could move the industry in a new direction. Netflix acquired comics publisher Millarworld last year in an exclusive deal to develop TV shows based on Millarworld comics (which are included on Comixology), and even Spotify partnered with Nerdist to offer „Archie“ motion comics this year („I have yet to see [a motion comic] that makes reading better or tells a better story … But I love the idea that we and others get to experiment,“ Steinberger said).